From the bestselling author of Crazy Rich Asians (Now a MAJOR MOTION PICTURE) comes a deliciously fun story of family, fortune, and fame in Mainland China. It’s the eve of Rachel Chu’s wedding, and she should be over the moon. She has a flawless Asscher-cut diamond, a wedding dress she loves, and a fiancé willing to thwart his meddling relatives and give up one of the biggest fortunes in Asia in order to marry her. Still, Rachel mourns the fact that her birthfather, a man she never knew, won’t be there to walk her down the aisle. Then a chance accident reveals his identity. 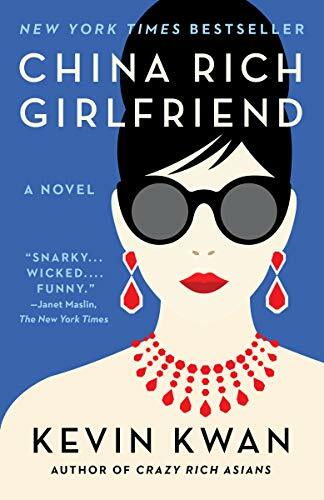 Suddenly, Rachel is drawn into a dizzying world of Shanghai splendor, a world where people attend church in a penthouse, where exotic cars race down the boulevard, and where people aren’t just crazy rich … they’re China rich.